A sneaky preview of The Floors, you say? Oh, go on then! Well, it’s taken a long, long time, four drafts, five test readers, a professional edit and around a bazillion read-throughs but it’s done! It’s finally done! The Floors is ready to rock n’ roll. Frankly, after all that, I think it’s high time I unleashed it on you all, and on Friday 13th September 2013 that’s exactly what I plan to do. You’re welcome, world! Moo ha-ha-ha-haaaaa!!!! 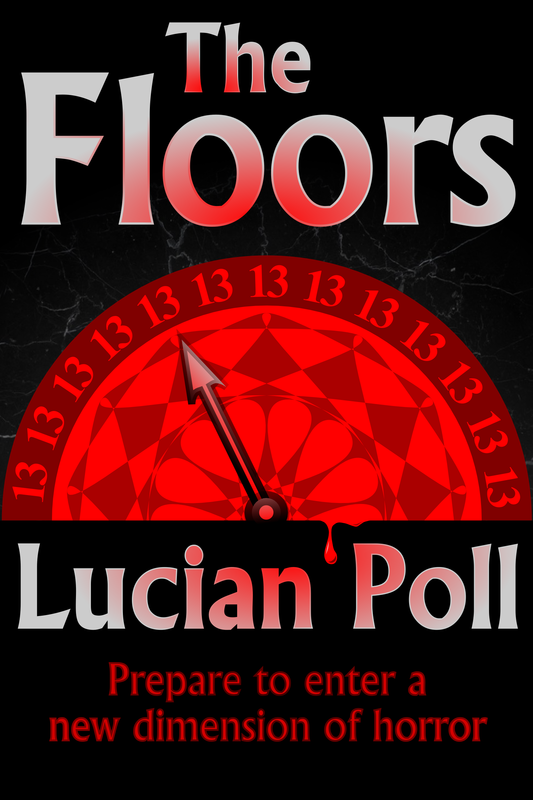 Note: As should be obvious from the cover, The Floors is a horror novel, so expect violence and big swears from the outset. If you like the cut of this sampler’s gib then you can buy the whole darned thing a week on Friday in eBook format or as a rather swish paperback. Give the blog a follow, or give the Facebook page some thumbage, and I’ll keep you abreast of all you’ll need. In other blatherings, please accept my apologies for being MIA these last few weeks. The findings of the test reads and the professional edit necessitated a few repairs and improvements to the story. The next post will be for the big launch. After that I’ll be back with a few posts on my experiences in getting this far and no doubt a few other odds and sods in the run-up to the World Fantasy Convention and, of course, NaNoWriMo 2013. This entry was posted in Novels, Writing by Lucian Poll. Bookmark the permalink.